We all see Americans gravitating towards more eco friendly options these days. From reusable grocery bags, recycling, etc – Americans are doing what they can to help the environment. This includes but not limited to using hybrid cars. The use of hybrid cars have numerous benefits that most people forget about. Such as – lower fuel cost, release of fewer emissions, no idling, tax incentives and so much more! Now Jeep has some exciting news for their loyal fans. Jeep has announced plans for a Hybrid Jeep Wrangler expected to hit dealerships year of 2020. 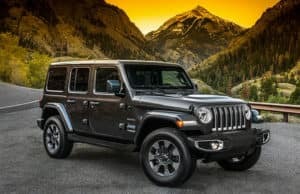 PLUG IN: The all new 2020 Hybrid Jeep Wrangler will be manufactured at the 54 year old Toledo Machine Plant in Ohio for the plug ins electric module. The electric module is comprised of the Power inverter module and the dual charger module – both includes an onboard charger and a DC/DC converter. This module will be mounted in a protective area under the Jeep between the exhaust and drive shaft. The Wrangler plug – in hybrid is part of the FCA’s commitment to have thirty models with electrified powertrains by the year 2022. SAME WRANGLER: Just because the Wrangler will be offered in the Hybrid version doesn’t mean you lost your muscle power. The 2020 Jeep Wrangler will still have all the bells and whistles as the previous models. The interior features the UConnect System, Apple Carplay and Android Auto Integration. The original Wrangler seats are not only designed for functionality but also for comfort. Available with heated front seats and manual two-way lumbar adjustments when needed. Nothing about the interior will halt your adventures! EXTERIOR: The Wrangler Hybrid will still be your muscle just like before! The Wrangler will retain its classic features such as the removable doors – available in hard & soft top options, foldable windshield so you have all the variety you need. The Jeep Wrangler exterior comes with its iconic round headlamps and seven-slot grille at the front. Along, with full size spare tire and bolt on tail lamps. Want to go off road? STILL CAN! The Wrangler was made for this exact moment. The power dome hood features two functional vents along with the usual two front fenders. The high clearance fender can easily accommodate the standard 33 inch off road all terrain tires. Can’t wait for 2020 to come? We can’t either! Stay tuned to find out more details of the 2020 Jeep Wrangler Hybrid. 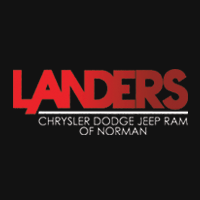 In the meantime, come and visit us at Landers Chrysler Dodge Jeep Ram of Norman for all your other car needs.